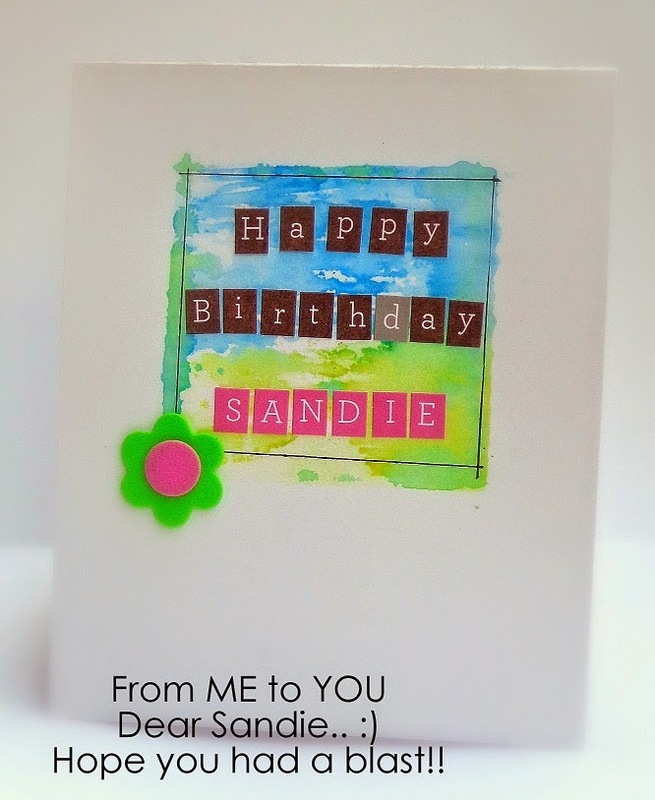 Here is an another pic of her.. 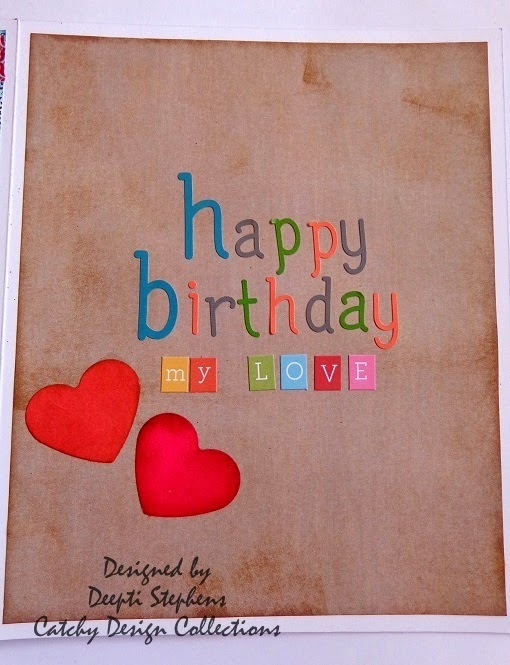 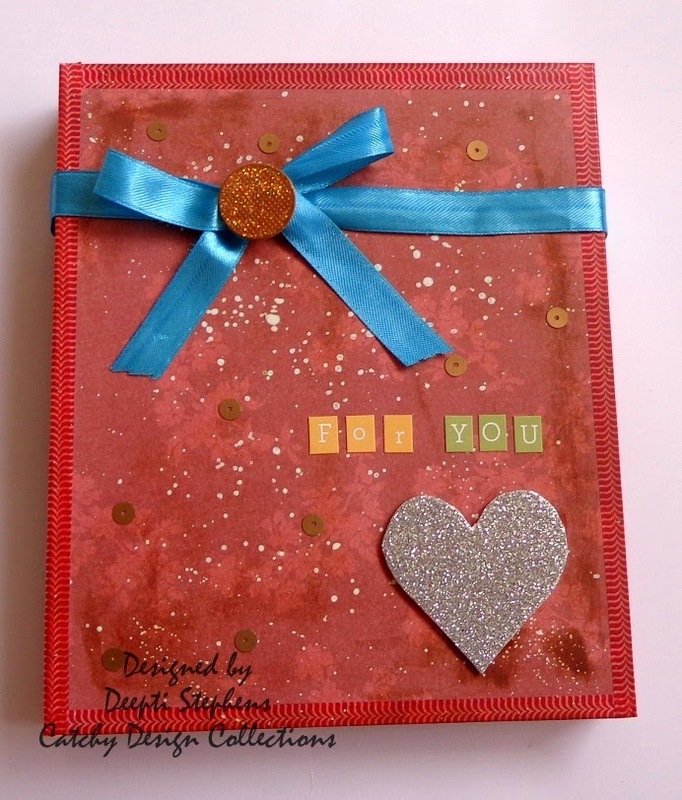 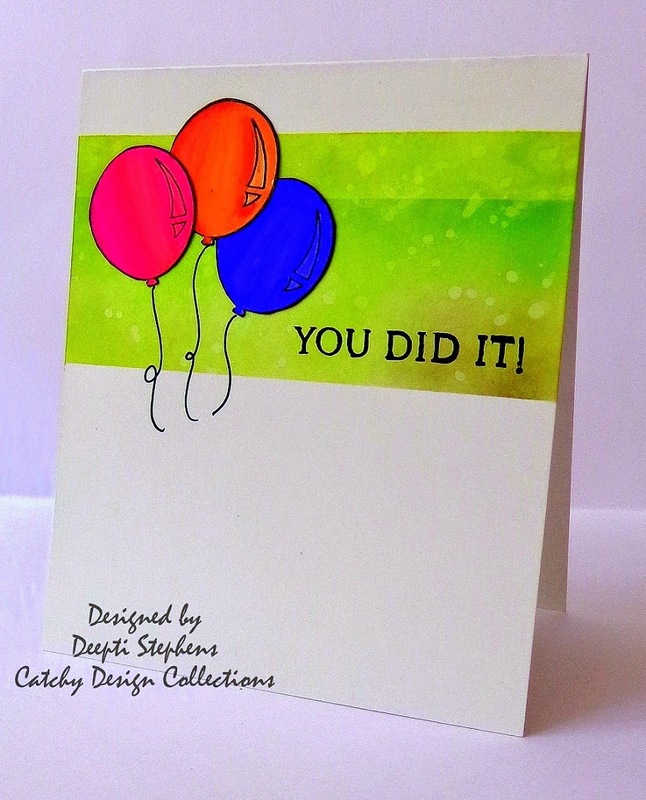 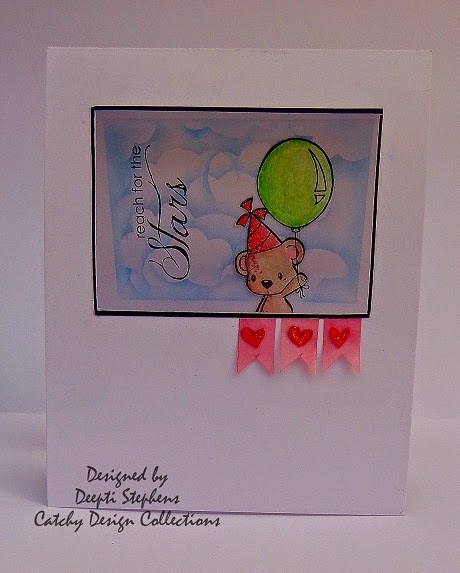 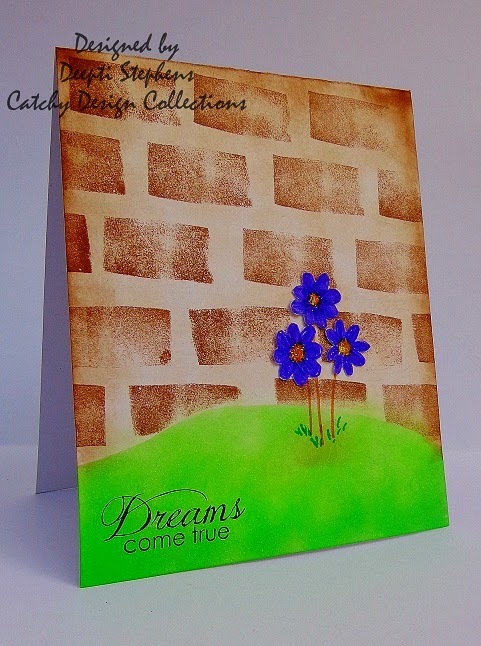 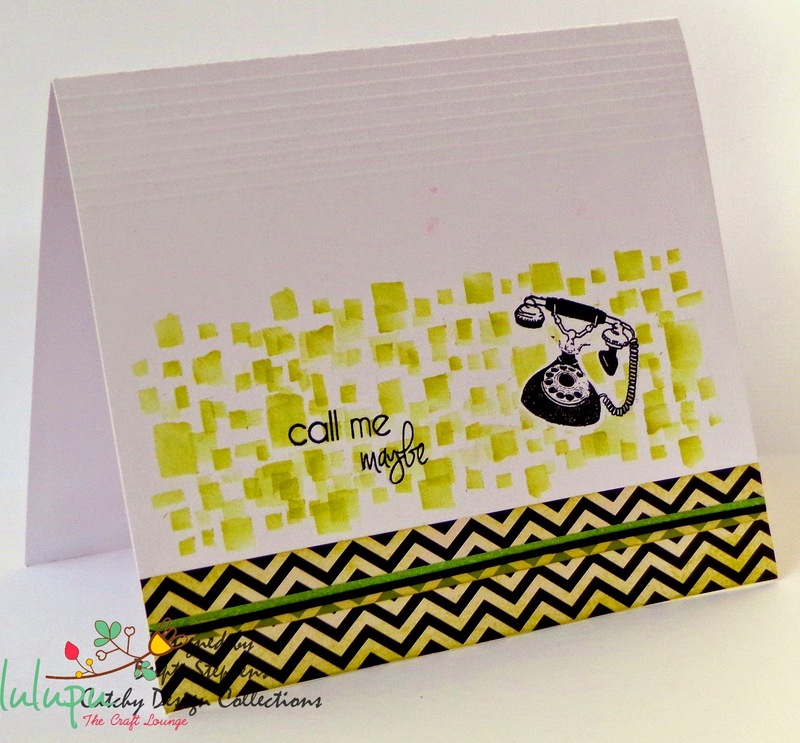 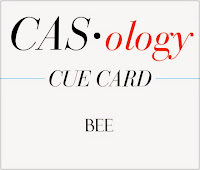 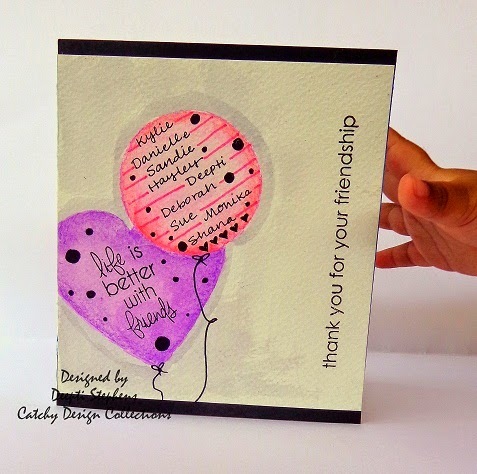 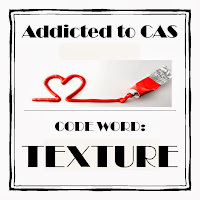 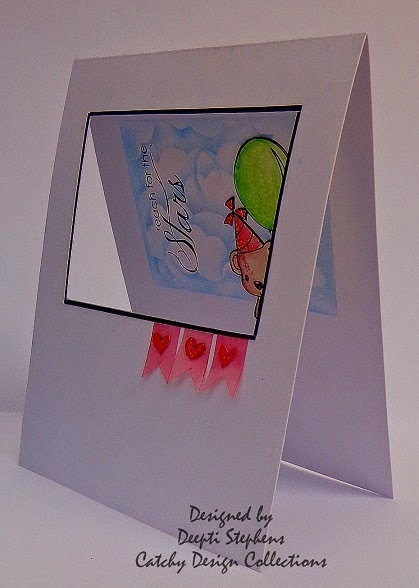 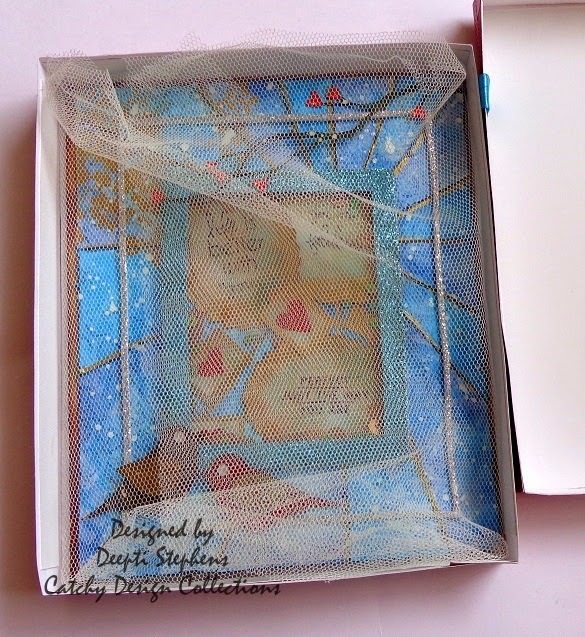 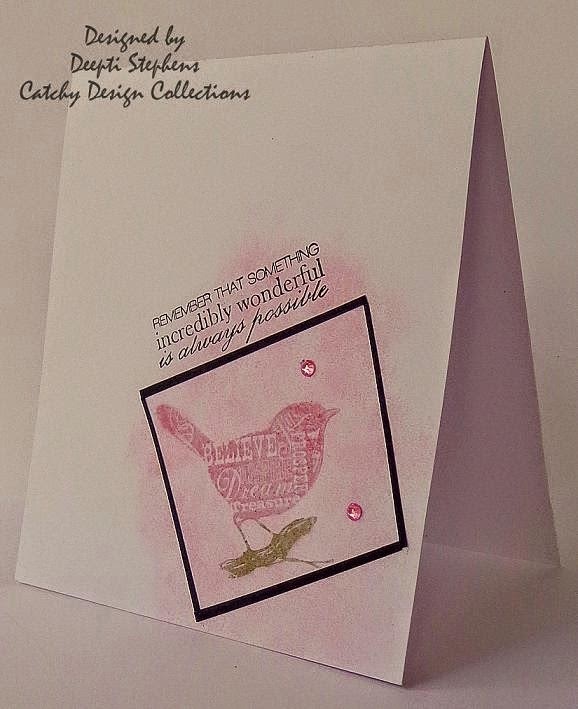 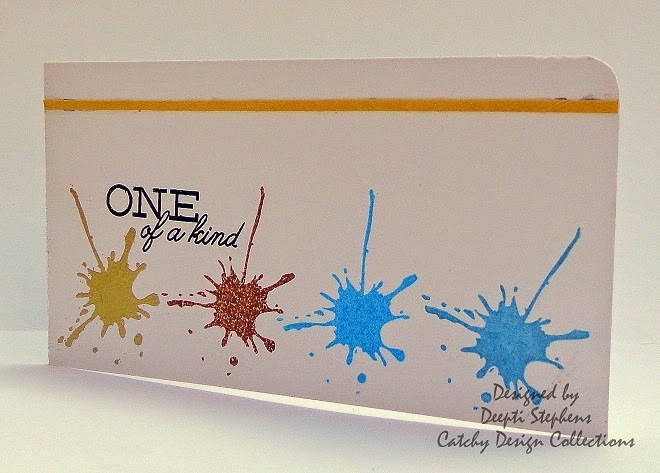 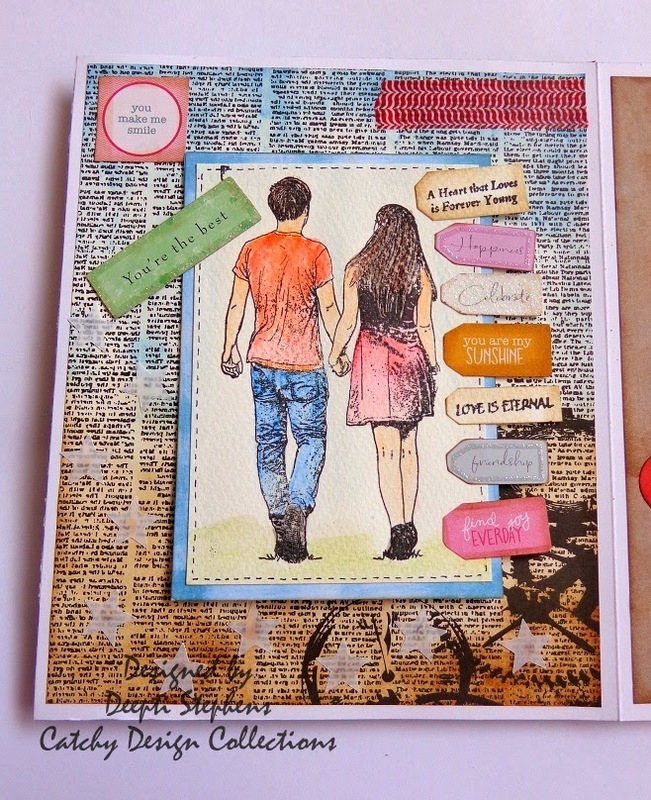 Entering this card for Crazy for CAS #45 balloons and Simon Says Stamp _ Anything goes.. 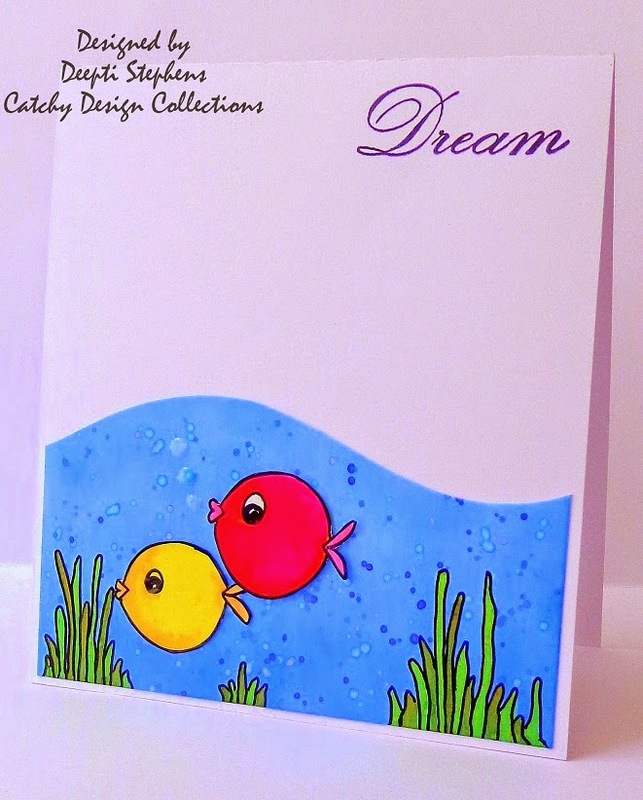 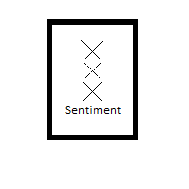 I've hand drawn the fishes and plants.. 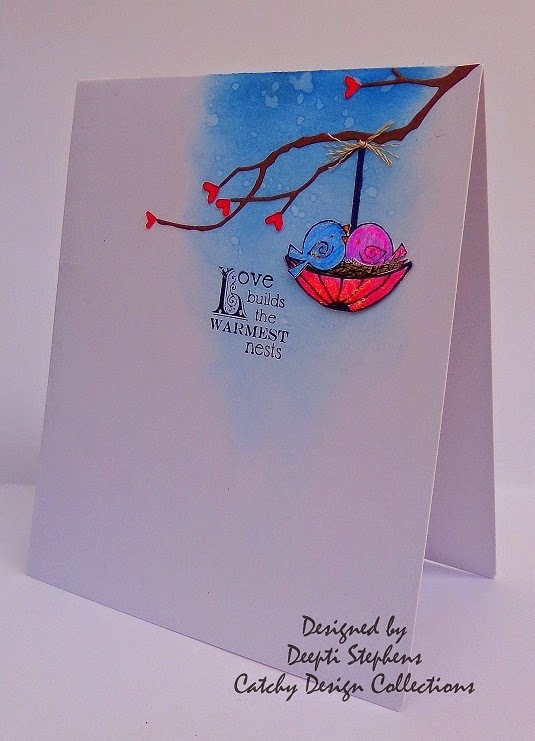 The sea was done using Broken china DI and I did a little splatter of colors too.. And this one is for ColourQ #242 and KIS #40 Maritime.. 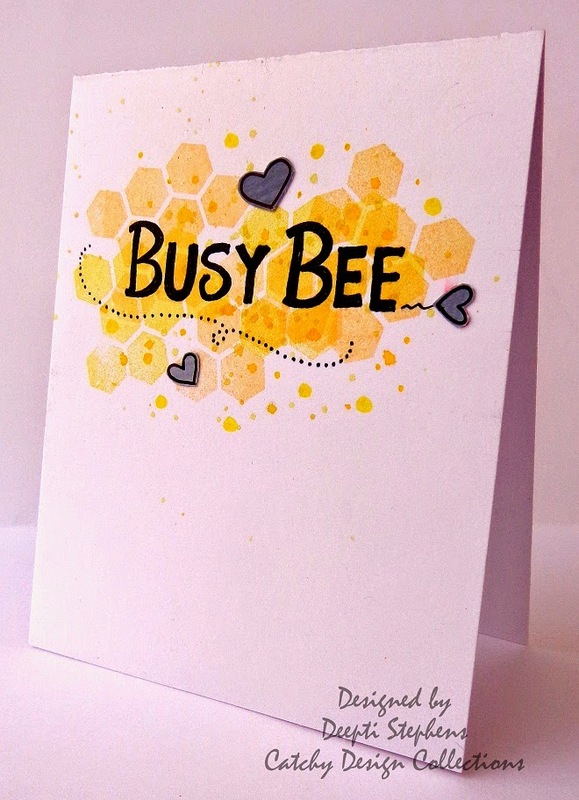 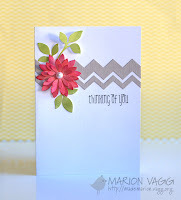 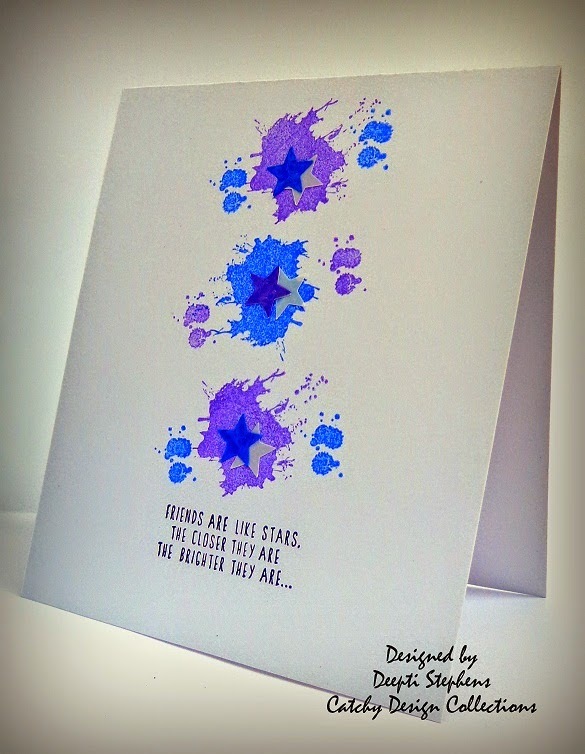 I have a great pleasure to case Marion Vagg card..This card is for Muse #68 and Inkspirational #56.. 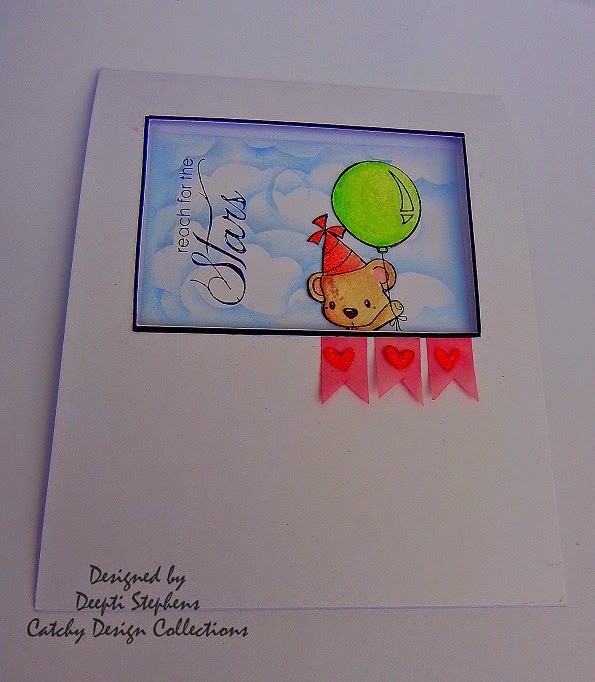 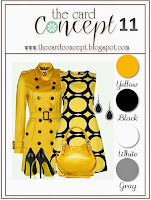 I was inspired by the balloons and colors.. 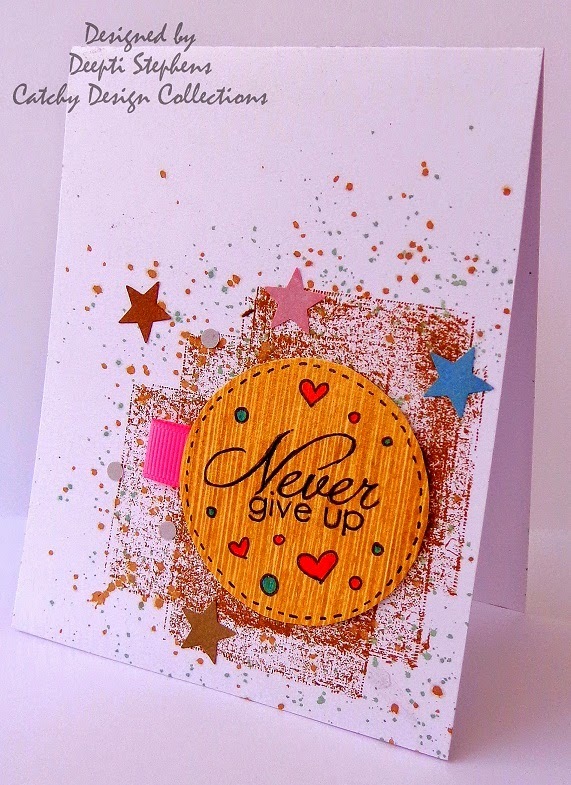 This is the first time I'm entering my card at Sketch book saturday #122 Hope you like this card Chupa, I love your cards and sketches a lot. 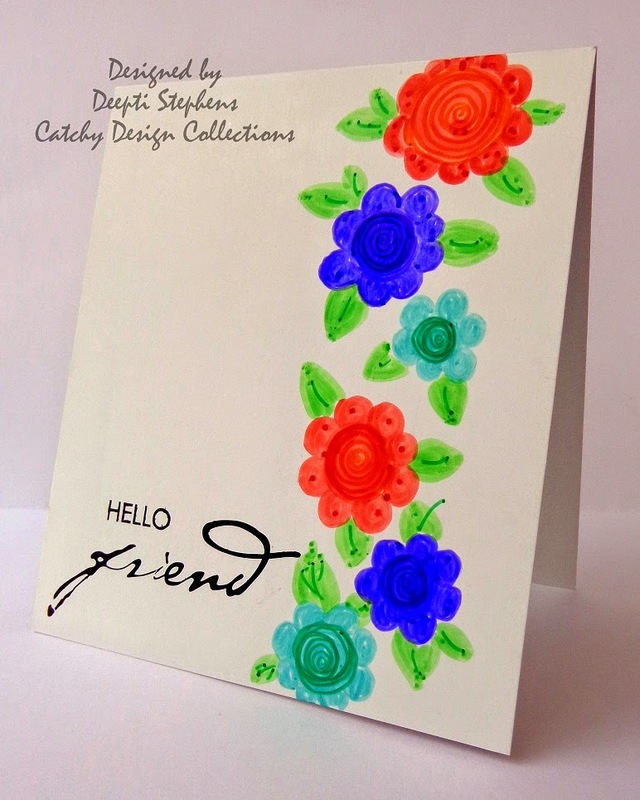 Thank you so much for the wonderful inspiration.. Also entering for CASology #96 flower and Less is More #172 flowers..
Hope you like this. 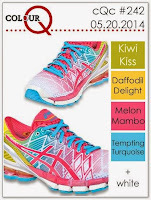 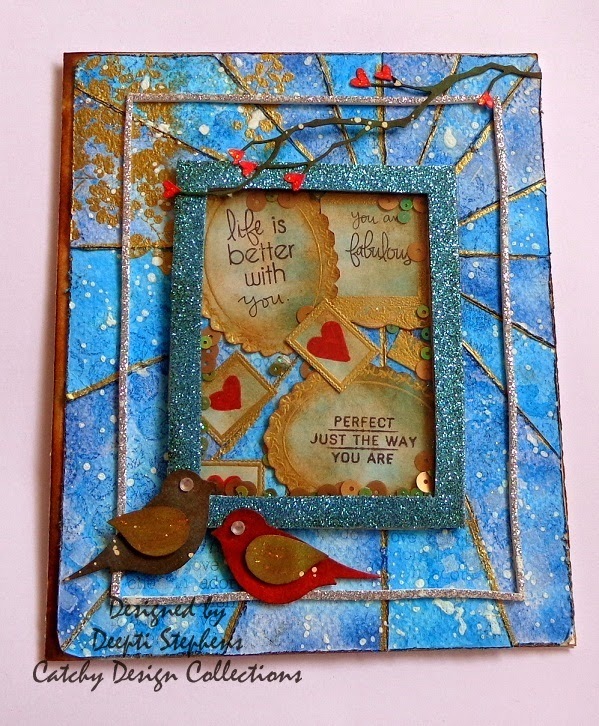 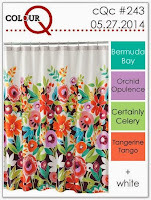 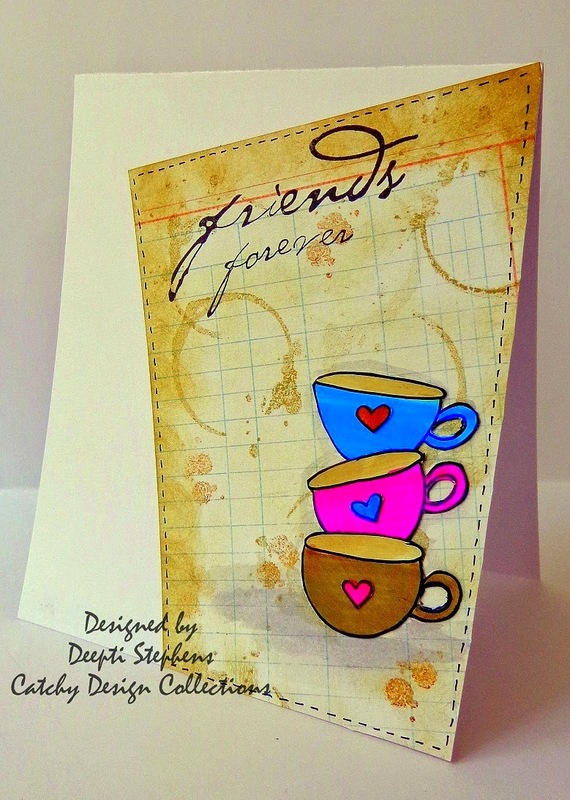 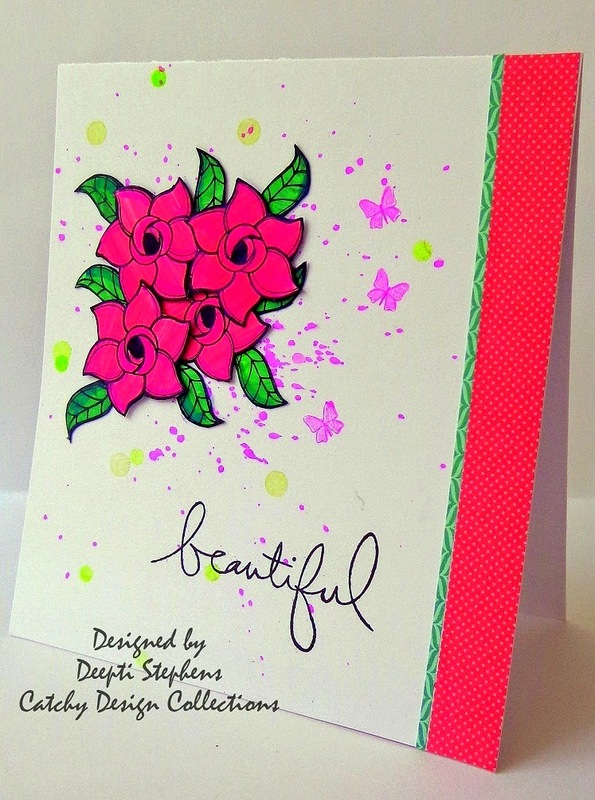 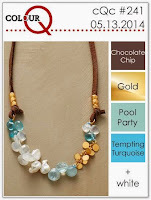 Kindly join the fun at ATSM and the winner will receive something good from our sponsor Rick st. designs.. Hope you would join the fun..
Also entering this card for Crafters Corner #16 Something Special.. 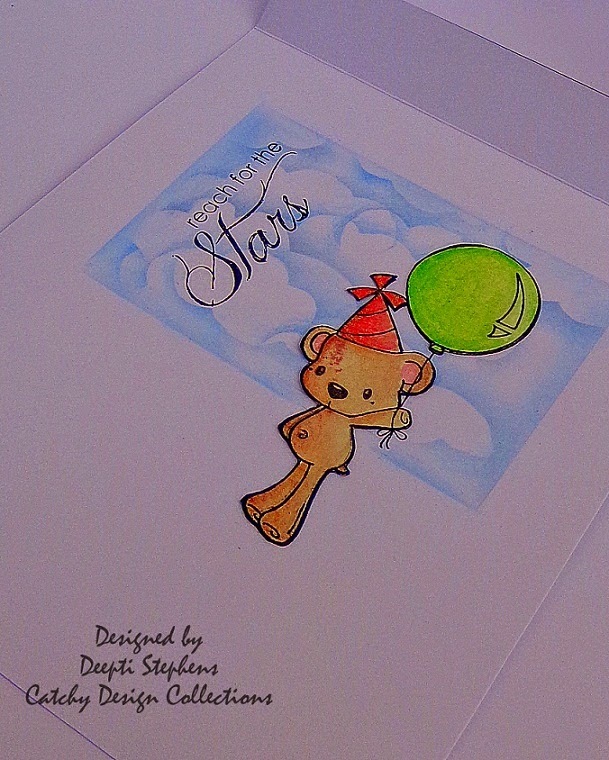 Here is another card made for Color Q #241 and CASology #95 splash..
We have a lovely sponsor this week Stitchy Bear..
To make this card I was actually inspired by the sketch at Poppy Sketches, unfortunately time is up for the submissions.. :( Unlucky me.. 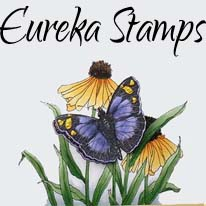 Anyway I'm entering this card for Simon Says Stamp Spring flowers and STAMPlorations May Challenge Stamps and flowers.. 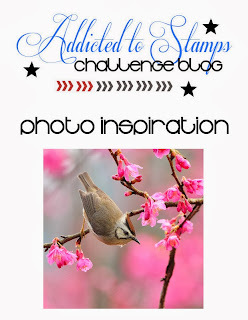 Finally here comes the last card for STAMPlorations Bi-weekly sketch challenge #11..
Addicted to Stamps and More #95, Anything goes..
Movie Inspiration Challenge at Lulupu..